The ultimate guide to gluten free Christmas cookies! 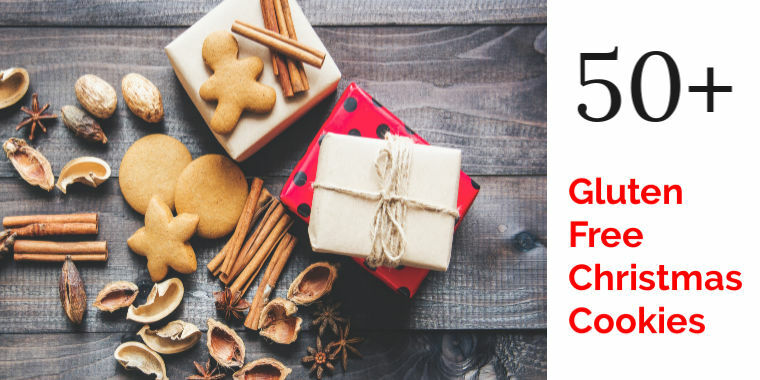 Enjoy 50 holiday treats including healthy Christmas cookies, low FODMAP cookies, grain free cookies, and vegan cookies. There’s something delicious for everyone to celebrate with! Tis the season…to eat gluten free Christmas cookies! What are your favorite family Christmas cookie traditions? If you’ve never had Spritz cookies before, you MUST try them. Rich, buttery, crispy, and absolutely delicious, Spritz cookies originated in Scandanavia. The fun thing about Spritz cookies, is that you can decorate them like traditional Christmas sugar cookies, with frosting, sprinkles, and other “cookie bling”, but no dough rolling is required. Instead you make them with a Spritz cookie press. This is the cookie press I own. It comes with 14 decorative discs, and is easy to use. 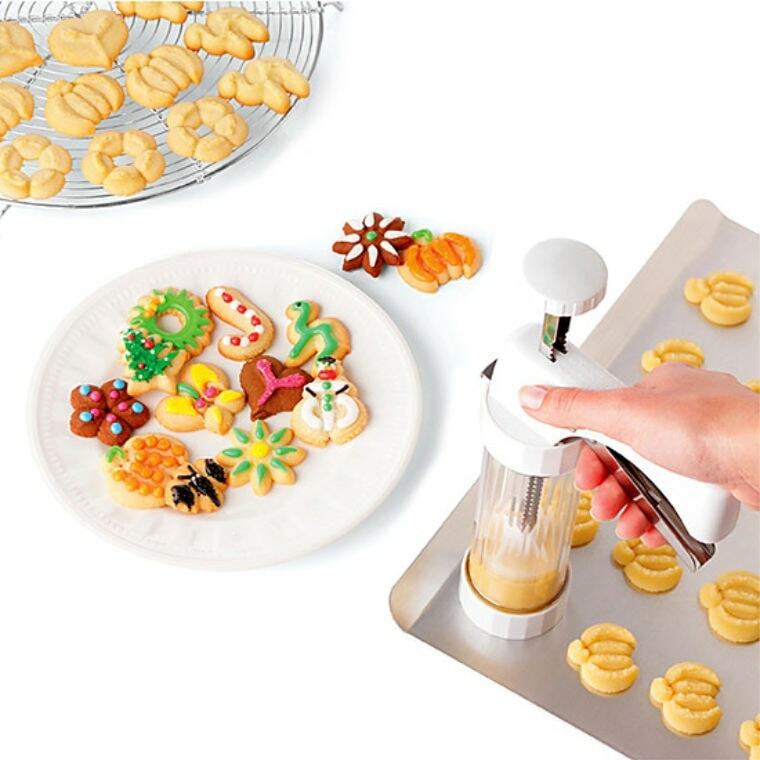 You can also buy additional Christmas discs that should work with this Spritz cookie press. It would be fun to pair it with India Tree all natural sprinkles and this Chefmaster All Natural Food Coloring Kit! Let’s Make Some Gluten Free Christmas Cookies!!! In addition to these gluten free Spritz cookies (vanilla and chocolate recipes below), I’m sharing 52 more gluten free Christmas cookies you’ll want to bake, share, and eat this holiday season. And, because I think cookies should be a required food group for Christmas, even if you’re following a special diet, I’m also sharing low FODMAP Christmas cookies, grain free Christmas cookies, and vegan Christmas cookie with you. There really is something delicious for everyone to celebrate with! P.S. Need an easy gluten-free flour blend? This 3-ingredient All-Purpose Gluten Free Flour blend with sorghum flour, potato starch, and tapioca flour is my “go-to”. It doesn’t contain xanthan gum, so you’ll need to add that if your recipe calls for it. Craving more gluten free cookies? Check out these yummy recipes too! This post contains affiliate links. If you purchase a product through one of these links, I may receive a small commission, at no additional cost to you. Thank you for supporting The Spicy RD Blog! What are your favorite holiday baking traditions? Do you have a yummy gluten free Christmas cookie you like to bake every year? We shared these gluten-free cookies this holiday season. Everyone in the family loves it! Every bite burst with happiness, it’s like the heaven opened its gates. This is so good, so thumbs up! Wow, thank you for these recipes! I will be making gluten-free cookies this New Year. My kids, nieces, and nephews love the Spritz too. I love gluten-free food since it increases energy and it’s good for the body. Thanks for this. Xoxo. Hi Jennifer! You’re most welcome & happy new year! I can’t wait to try some of these cookie recipes, I love them all! 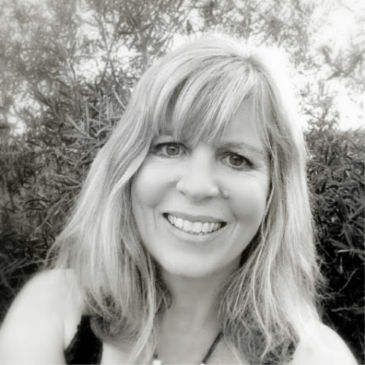 Thanks so much Sandi! I can’t wait to make your Vanilla Crescent Cookies-they look so yummy! Happy holidays!